Won't somebody think of the phone calls? It might surprise Alexander Graham Bell to discover that phones these days are barely used for making telephone calls, with Three revealing that 97% of all its network use is now data. That leaves only 3% accounting for calls and text messages and is a massive 427% increase in data use over the last 14 months - a rise that Three attributes to app downloads, movie streaming, checking maps and the like. "Staggeringly, 97% of all the traffic that now travels through our network is data," writes Phil Sheppard on the official Three blog. "Back in 2003 when we began our journey as a 3G network, it felt at times like the technology we had at our fingers tips was a bit Tomorrow's World," he said, going a bit This Is Your Life. 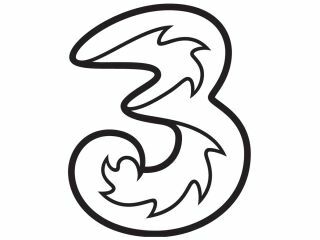 "It was ahead of its time, and few knew how 3G and mobile data could really be relevant in people's lives particularly with a lack of decent handsets. "Fast forward to today, in a market flooded with tablets and smartphones, and there can be no denying the importance of a reliable, powerful network like ours."